The HENSOMASTIK® Mixed Penetration Seal S 90 is a versatile solution. It is designed to seal apertures in solid floors > 150 mm and in solid and flexible walls > 100 mm through which electric cables, cable harnesses, cable trays, and other media may be routed. The system consists of mineral fibre boards of about 150 kg/m³ density, e.g. 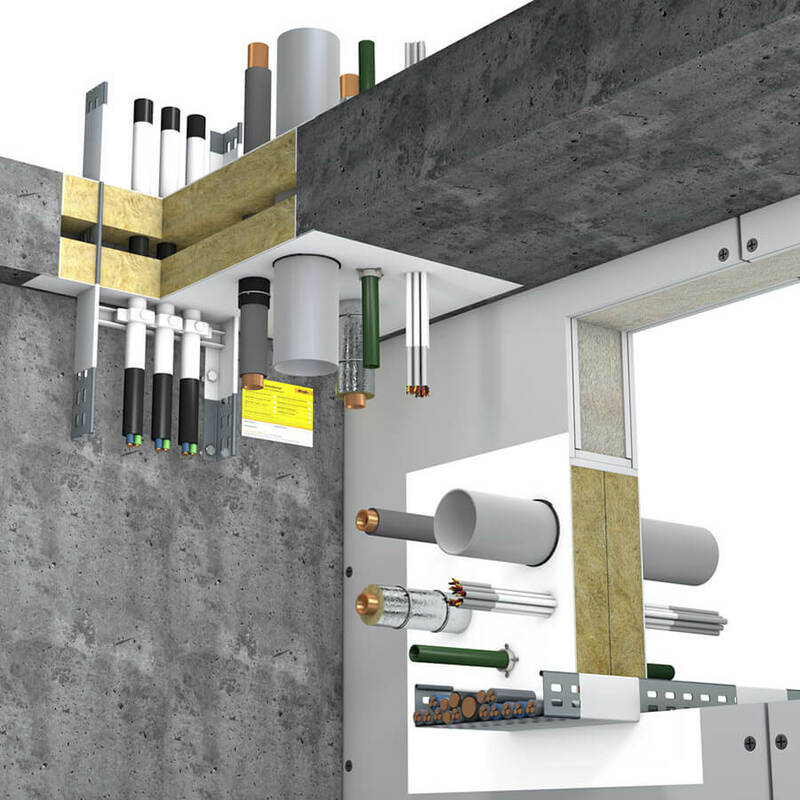 Rockwool Hardrock 040, and an ablative fire protection coating available in the variants HENSOMASTIK® 5 KS Farbe, HENSOMASTIK® 5 KS viskos, and HENSOMASTIK® 5 KS SP (Spachtel). In the event of fire, HENSOMASTIK® Kombischott S 90 prevents fire and smoke spreading through these openings for a fire resistance time of up to 90 minutes. Further details on cable diameters, distances from other components, and other approved media can be taken from approval Z-19.15-1224.